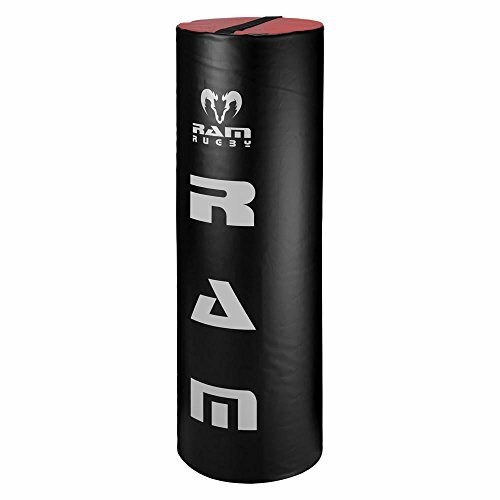 The Ram Rugby Tackle Bag is the quintessential piece of rugby training equipment; no team or club is complete without them. Our extremely durable tackle bags are designed to take the hardest hits from your toughest players and the high-density foam helps reduces fatigue from repeated impact. The versatility of the Ram Rugby tackle bag is unrivaled. Use them simulate dynamic tackles by having one player hold the bag and create a moving target, place two next to each other to create a narrow channel to practice ball handling, you can even lay them on their sides to create hurdles that accurately simulate jumping and stepping over other players. It's the ultimate training tool for Soccer, Football and Rugby.